My BlackArmor NAS110 came with a 1TB 7200 RPM drive. 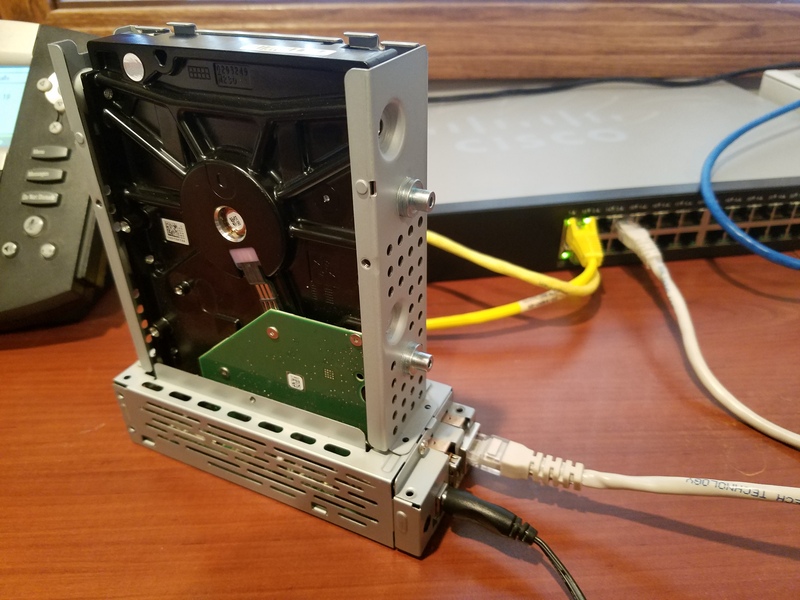 I ran out of room so I stole a 2TB drive from a new computer I ordered and wanted to use it in the BlackArmor. To successfully do this, I needed to wipe the partitions from the new drive. 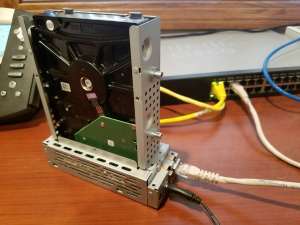 So I hooked it up to my desktop computer using a 2.5/3.5 SATA caddy. That was the command sequence. Be careful to select the proper disk or you can wipe the partitions from any drives attached! Little did I know it was this simple. At first, I just threw the drive into the BlackArmor NAS110 thinking it’d nuke and pave it and load whatever was necessary. After a few failed attempts, I finally just decided to wipe the disk (not creating a new partition). If you need information on tearing this case open, head over to http://crapnas.blogspot.com/2010/04/opening-box.html. I knew I was heading in the right direction because after wiping partitions and then booting it up in the BlackArmor, it rebooted after about 30 seconds of being on with an Amber light. After the bootup, I hear disk activity and no Amber light — no IP yet, so I think it’s formatting the drive at this point. 2TB may take a hot minute.